In this multi-touch monitors guide for Microsoft Windows 7 supported touchscreens, Windows users can find hardware for a Windows touch experience. As a suggestion to Windows 7 users who wants to buy multi-touch screen monitor, I can advice to check multi-touch applications that they can use on their computers. Because without multi-touch software like Microsoft Touch Pack for Windows 7, you will feel yourself unsatisfied with your touch screen monitor. Here I tried to list touch screen monitors which are compatible with Windows 7 multi-touch features and gestures. One of the best touch screen display from HP which is fully compatible with Microsoft Windows 7 Multi-Touch features. 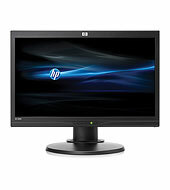 HP2209t Wide LCD is a touch screen monitor is in 21.5-inch with high-definition and Microsoft Windows 7 OS certified monitor. The touch technology used in this monitor is optical touch technology which enables multiple touch inputs to recognize accurately and process in parallel tasks. The price of touchscreen monitor HP 2209t is about HK$2,599 at HP home. Please refer to official web pages here and here for HP2209t which is one of the best touch screen monitors in the market. Is the first touch screen monitor from HP certified by Microsoft Windows 7 for multi-touch features. Using Multi-touch technology the multi-touch software and multi-touch applications recognize multiple inputs concurrently. Using the touch screen, common multi-touch gestures like rotating images or photos, resizing, shrinking or enlarging is made easy using your two fingers. What is nice about this multitouch monitor is its relatively low price which is around $299. 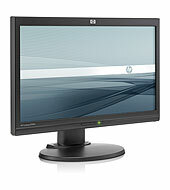 Windows 7 users who wants to get detailed product information about this touch-screen monitor can refer to HP product page.